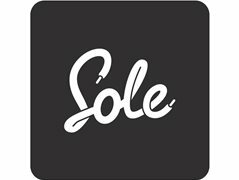 The Sole Supplier LTD, we are a social media and marketing company based in central London. Our primary focus is making sure everyone has the best footwear available right now. As part of that ambition, we have launched an app to make it even easier for consumers to find out about and access the best footwear online. Our campaign for the app will have several video adverts incorporated to help illustrate how our app can help the end users out in various situations. We are looking for people to be involved throughout the campaign which will be running from February 1st 2019, There will be a variety of roles available from extras to lead actors. The adverts will also be published online to our social following of half a million people, so it will be great exposure for everyone involved. Please get in contact with us for more details and so we can assess your suitability for roles.